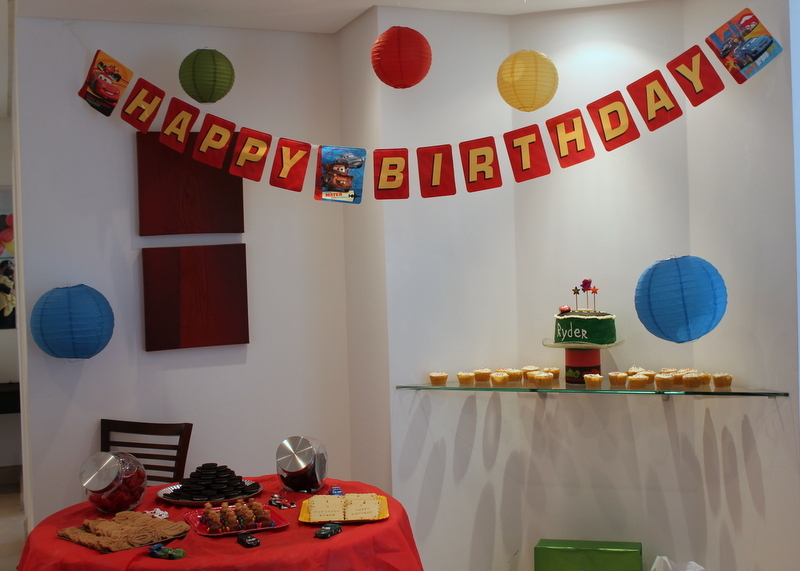 So unlike my child’s first birthday, I actually put on a party for him. I thought about inviting the entire world, but my husband was worried about a thousand kids running around, and well I didn’t want to overwhelm my son, so we invited all of the 2 year olds he knew for a get together. Of course, he really only hangs out with 2 year olds from our neighborhood who are Brasilian. So ordering a pizza and hanging out in the house wasn’t going to cut it. 1. What type of food will be having? Is this a full meal or snacks? 2. Can we just drop off our kid, or is this a parents come to party? Yeah odd questions I thought, who thinks about a 2 year old party this much. Thankfully I’ve read this blog post and seen the amazing display of Brasilian love for children first hand. I even took pictures I was sooo impressed. So I figured I needed to do something somewhat similar. Here’s my weak attempt (unfortunately, my husband and I only took a few photos of things as there was a miscommunciation about who took what). Yes, I realize my other son was only a month old, but I needed to do something. So I brought in a bunch of American food, milkyway bars, licorice, and a ton of oreos. 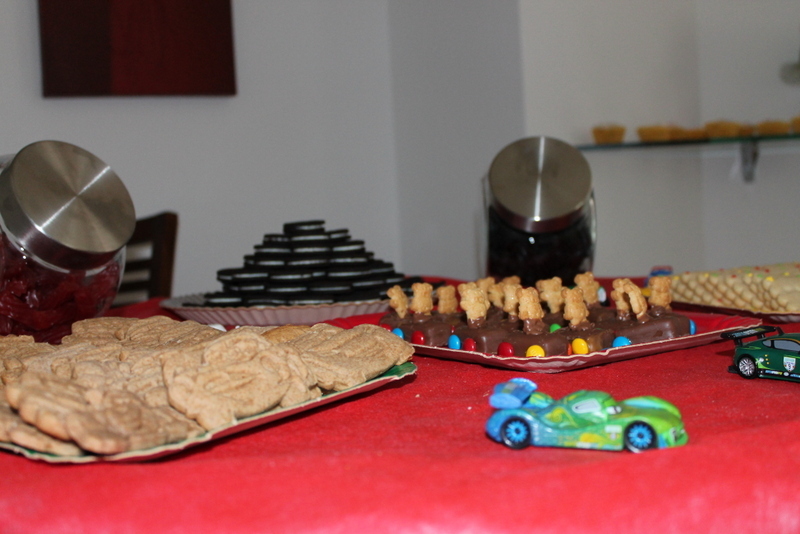 I also bought the car shaped cookie cutters from Williams Sonoma and made graham crackers out of them You can see the graham crackers in the photo below.. The kids loved the graham crackers. You can find the recipe here. I also made little sugar cookies with the Williams Sonoma Message in a Cookie cutters – Happy Birthday and Parabens. After 2 batches, I finally figured out how to get the cookies to be readable. Note to those who thought those cookie cutters were “too cute” like me. 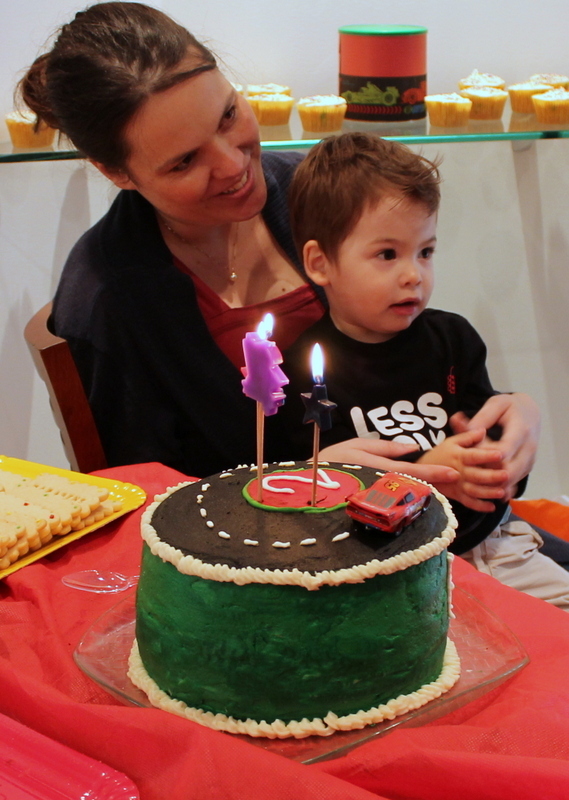 I also decorated my first birthday cake– red velvet—very not Brasilian. I wasn’t going to fork out for an entertainer, as most parties have, nor did my husband see any reason to fork out money for a bounce house — both standard at most kid’s parties here. So I decided to make a pinata. My kid loves to beat the crap out of things, and it would be different. AND I figured I could get away with not having to do a bunch of little gift bags. 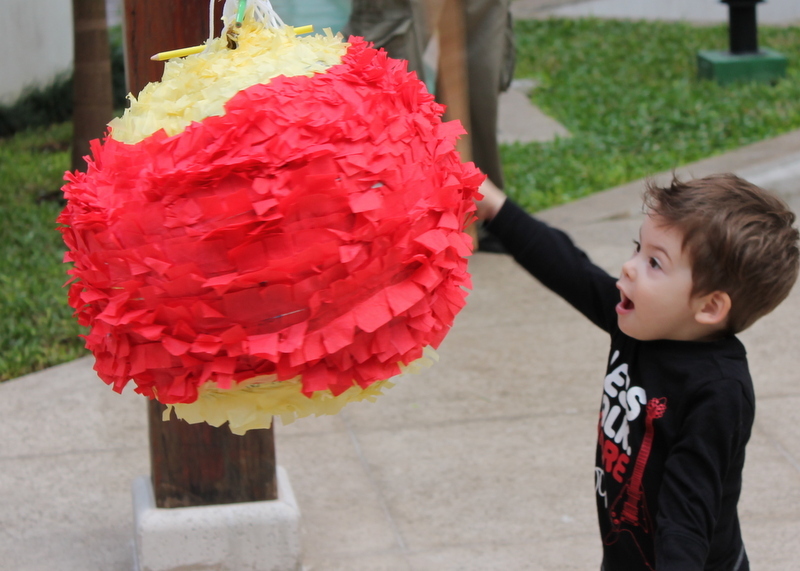 I found a lady who makes pinatas here for R$150, but that’s pretty steep for something you can easily make yourself with crepe paper, a balloon and glue. It was a hit (haha)! All in all my kid had fun, and we did have an outfit change halfway through like most Brasilian parties, except this one was due to my son falling into the fountain. Posted in Children in Brazil, Expat Life and tagged Birthday parties, children in Brazil, Expat Life. Bookmark the permalink. 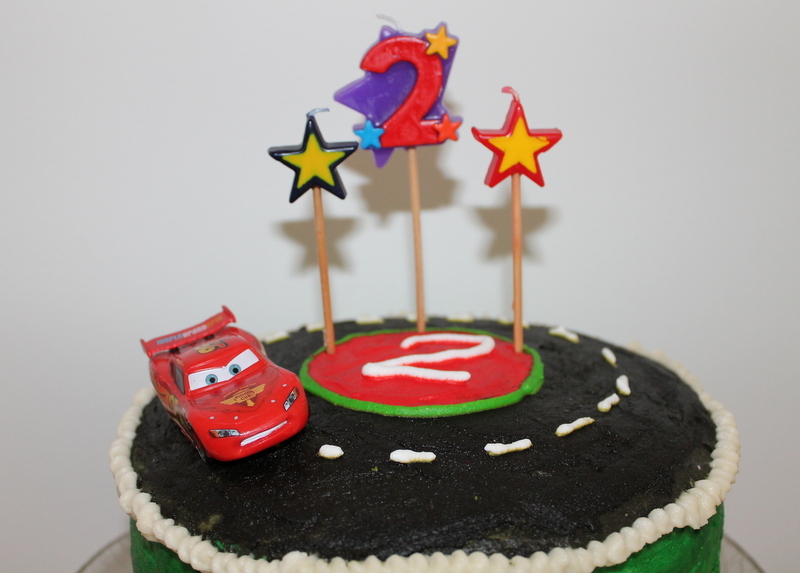 Saturday was a 3 year old American style birthday. Food, presents, and some pool time fun. 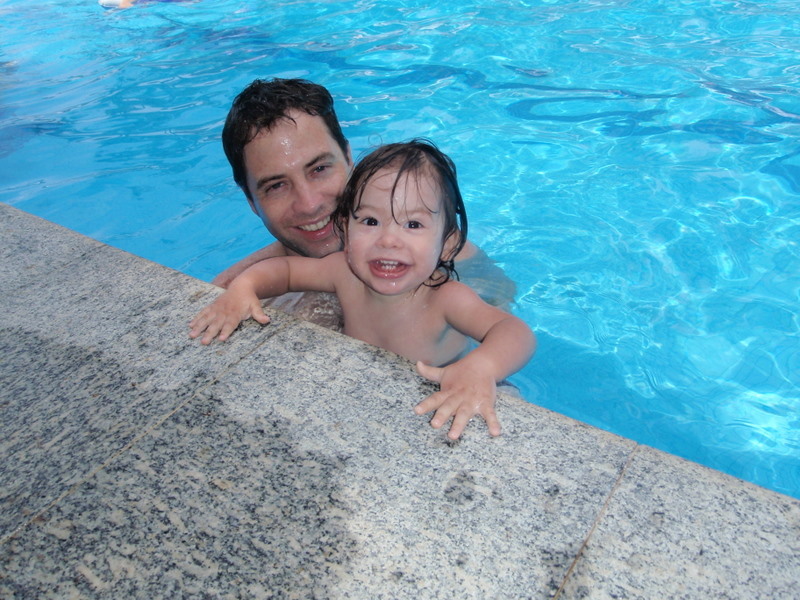 The last and first time our son dipped his toes in a pool was in Fortaleza at the waterpark. That was more laying on rafts, or walking around in ankle deep kiddie pools. This time, we let him go for it. We figured the sooner he learns to swim the better. And he did great. 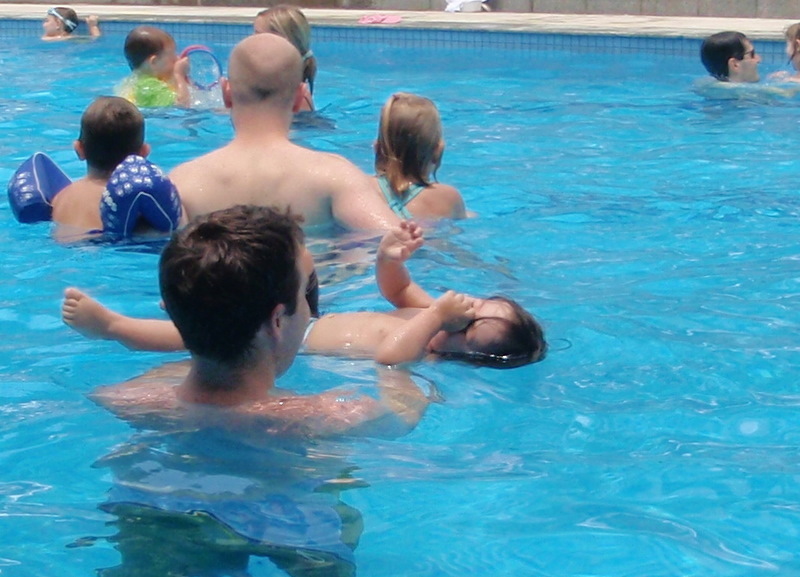 Yes he fell a few times and landed on his back under the water– no crying at all. 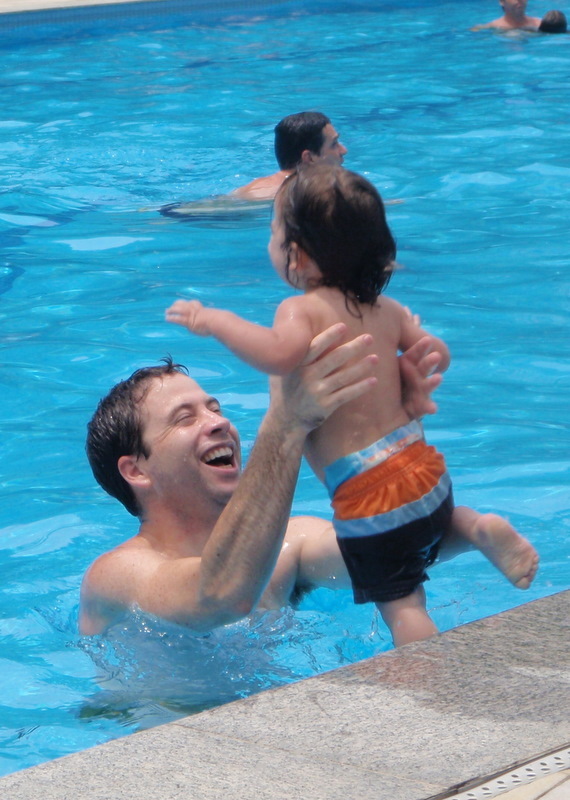 But he loved it, he loved jumping into daddy’s arms from the edge of the pool. I think most of Brasil was in shock and worry that our little one year old was going to die. So for good measure we decided to see how well our kid did under the water. Dad would count 1-2-3 and then blow in his face and dunk him. Each time he would get super excited and kick his feet and start screeching. . He’d come up with the biggest grin on his face kicking in excitement. See we have video proof… and this video was made after like his 6th dunk. Either way, Villagio is a beautiful apartment complexes. The toilets all flush…. with toilet paper in them. There is central air and heating in each apartment, and the architecture is lovely. Yeah you’ll definitely pay for all the luxury, but it’s nice luxury to have. I still like Brooklin Paulista best though, even sans Tennis courts and heated pool. 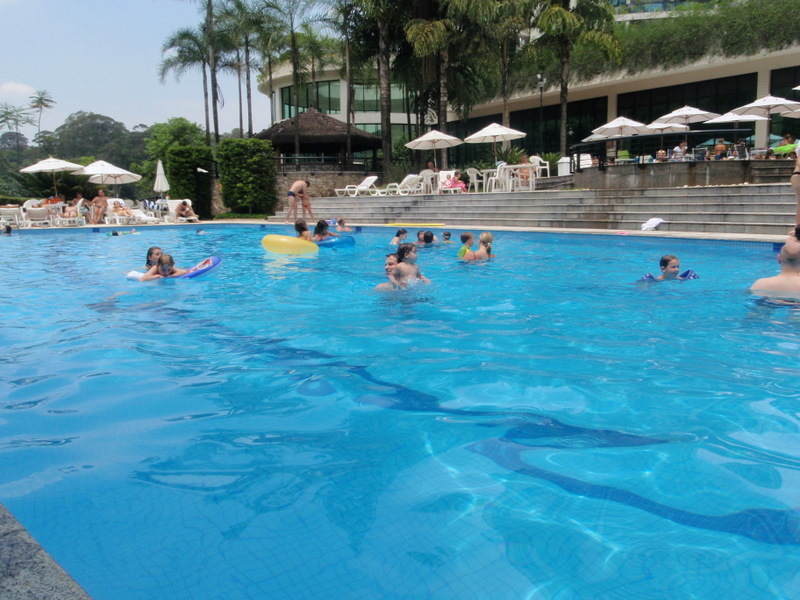 Posted in brazil, Children in Brazil, Expat Life, Finding a home and tagged Birthday parties, Housing in Brasil, swim lessons, Villagio Panamby. Bookmark the permalink.